Speculations are abuzz during the shoot of 'Sardaar Gabbar Singh' that Pawan Kalyan breathed fire on Shakalaka Shankar for behaving in an inappropriate manner on the sets. Finally, Shankar admits PK has scolded him for crossing the line. 'Kalyan Babu doesn't have huge assets but he have power and range which are priceless. I am his bhakt. PK made 'SGS' with his own money. I had noticed during the shoot that Director (Bobby) has been wasting PK's money by filming the same scene repeatedly. 500-1000 Junior Artiste worked daily for 75 days...Is this a marriage? How many times he would ask for One More? 10 retakes for a shot..this is why I lost my cool and shouted at the director. 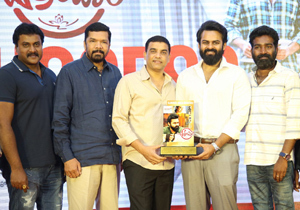 Pawan Kalyan came to know about it! He called Me and questioned whether I had gone to the range of slamming Director. He asked Me to stay in my limits, do my work and leave,' he said. Shakalaka Shankar claims to have gone for 'SGS' shoot only to see his God but wasn't satisfied even after watching him for 75 days. Upon becoming hero with 'Shambo Shankara', He told: 'I don't like people calling Me a Hero. Instead, I wish to be known as a Servant. For Two Years, I am workless. That is why I had created this work (Hero)'. The Comedian blames Chiru, Balayya, Nag, Venky and Pawan for his lack of interest on education. 'I was an Art Student. While being in 6th class, I had drawn Chiru's Hitler Poster on examination paper. Decided to enter films after the release of 'Master',' he informed. Shankar cleared only Telugu in 10th Class examination. His career began in the Industry as a painter with the film 'Manjunatha'. He hadn't gone to his home in native place for 8 years. Family Members had assumed he might have died. They felt happy upon seeing him one fine day and proud of what he achieved so far. 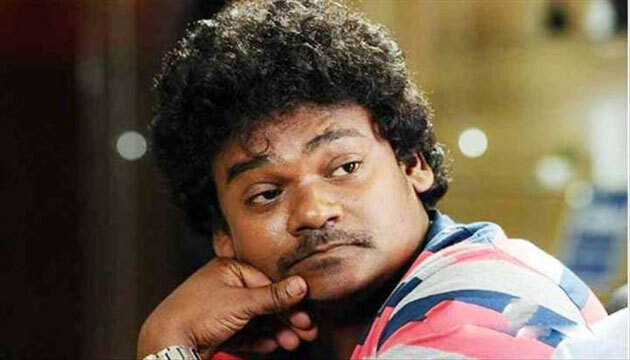 'Jabardasth' was a turning point in Shakalaka Shankar's career. He claims to have come out of it as people are finding his skits monotony.